Would you like a little taste of this great city? 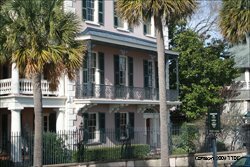 This Charleston video provides you just a sample of the Lowcountry allure! You'll be taken on a five minute journey through the Holy City including some of the finest plantations, the art gallery, the Battery and White Point Gardens to name only a few. 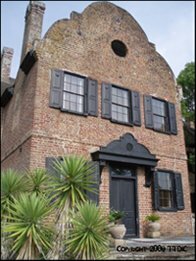 If you are visiting the Lowcountry, you'll need to keep in mind that there are not only great places to go, but there are also great events to attend! Charleston has grown into it's own little mecca of entertainment. From annual festivals to small and large concerts or even private charters... there is plenty to do. I think the hardest thing when coming here is to decide WHAT to actually do! If you are feeling overwhelmed by all the offerings of the Holy City, I'm hoping this site will help you. Don't forget to visit our Top 10 Best Things To Do page, as well as our Events page. Those are great places to start. And remember... Charleston, SC has so much to offer, even this video cannot capture it all. So if you don't see a favorite attraction in the video, you'll just have to come see it in person! And if you can't get it all in on one trip... I hope you come back again soon! So sit back and grab tall glass of sweet tea... let's go to Charleston! If you enjoyed the video, I highly recommend you visit our Charleston Photo Gallery page. 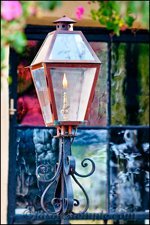 We have photographs from professional and amateur photographers (and yours truly!) that are exceptional! Even more, you can submit to have your own pictures of Charleston to share with the rest of our visitors. 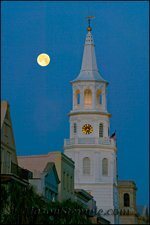 We love to see Charleston through the eyes of others so please feel free to share! !